One of the two featured RBC beers this month is styled as a Gotlandsdricka, a particularly out-there style from Sweden one doesn’t see very often. It had me thinking of Finnish sahti, which shares the use of juniper, among other key details. Randy Mosher’s Radical Brewing and Svante Ekelin’s entry in The Oxford Companion To Beer are both good spots to start digging in. 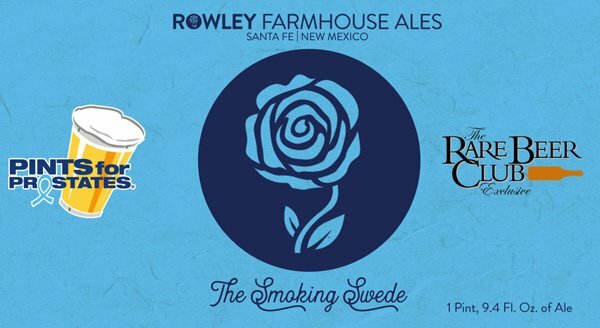 The featured beer from Rowley Farmhouse Ales overcomes two of the main challenges in brewing authentically minded Gotlandsdricka: they foraged boughs of juniper from around their local Sante Fe region (these traditionally get preboiled and/or used to make a filtering base during lautering), and they acquired birch-smoked malt through a friend who happens to do things like that in the Jemez wilderness, outside of Sante Fe. That addition of a birch-smoked malt provides, as Mosher puts it, “a faint wintergreen tang.” He includes a recipe for Gotlandsdricka that includes traditional adds like bog bean, blessed thistle, and bog myrtle. These beers have a lot going on. The only example I can recall trying off the top of my head was the Jester King Gotlandsdricka, many many years ago. Närke Kulturbryggeri makes one of the other examples that sees any significant availability. Jopen in the Netherlands and Off Color in Chicago both have their own versions. Though Mosher and others mentioned that Gotlandsdricka was very possibly the everyday drink of the Vikings (mead was reserved for fancier occasions), they’d have a tough time finding a steady supply of it today. I first wrote about the hazy-IPA trend a few years back in All About Beer Magazine, and at the time there was still the lingering question of: Are these murky IPAs really going to make it? I had been tasting all kinds of weirdness for my AAB column at the time, as breweries tried to work through every flavor of the month to pay off expansion bills: kettle sours, lifeless fruit IPAs, alcoholic seltzers… In that light, the ascent of hazy IPAs felt like a breath of fresh air. Fast-forward to the present—which is pretty damn hazy. The beer-trading world has shifted heavily toward brewpub-only hazy IPAs (or New-England IPAs, or Northeastern IPAs—or whatever one’s inclined to label them, as they’re pretty much everywhere now), to the degree that even the once-maligned can has become a point of prestige. Sam Adams, Sierra Nevada, and pretty much anybody paying attention released a canned hazy IPA in the time since. My Instagram feed has slowly simplified into a wall of super-hazed IPA and hasn’t turned back. But, of course, the IPA pendulum keeps swinging… Out here in California (and apparently at least as far away as Poland already), we’re seeing the emergence of beers labeled “Brut IPAs” that use a brewing enzyme to ferment down to a bone-dry, Champagne-like feel. Though my first (internal) response was, “You mean like Pliny?”, these IPAs seem to be heading towards a space less overtly bitter than typical West Coast IPAs, while also less sweet than hazy ones. The most cynical side of my brain wonders how many more beer styles we can come up with involving the word IPA… But its practical side reassures me the answer is many, many more. 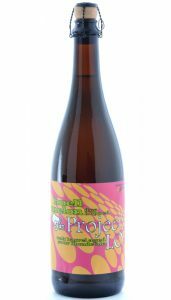 One of the two featured beers this month is O’so Brewing Company’s Project LO, a wild ale that’s dry-hopped with Huell Melon hops. I couldn’t remember tasting this particular hop in anything specific, and many of the releases featuring this newer hop tend to be draft-only or limited distro. Firestone Walker’s Easy Jack is one of the more readily available options, and it puts the hop in tandem with various German, New Zealand and American additions. The Cloud from Stillwater Artisanal features Huell Melon hops alongside Hallertau Blanc, Mosaic and Mandarina Bavaria varieties. And Maui Brewing’s latest collab with Crooked Stave, Two Tickets to Paradise, features it in a tart tropical saison with Mandarina Bavaria and Motueka. Huell Melon was released in 2012 by the Hop Research Center Hüll, a historic hop research institute in the Hallertau region of Germany, and it’s touted for having softer notes of melon and berry—particularly ripe honeydew and strawberry. Brewers Supply Group notes that the hop goes particularly well with the yeast characteristics of hefeweizens and Belgian-style ales, while also suggesting it as a possible standalone hop for summer seasonals or Brett beers. If it’s still a bit under the radar, a lot of breweries have done small batches with this hop. Look for it under the name of Huell Melon, Hüll Melon or (if a little less often) Hallertau Melon. We’re doing something a little different and unprecedented for this latest Rare Beer Club special offer. Tomme Arthur and the team at The Lost Abbey were recently tasting through the brewery’s archives to discover what was at its peak, and, given the long history between Tomme and the club—we’ve been loving his beer since the Pizza Port days—he reached out with some of the very best of The Lost Abbey’s rarest vintage beers. Five of the six offered score 100 points over on RateBeer (the other one’s a 98)—and this is ultimately one of the best collections we’ve ever been able to put together. 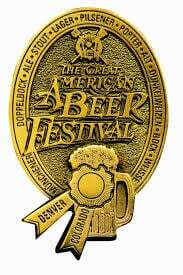 A chance to taste Lost Abbey history. NOTE: This the first time we’re offering 375mL bottles within the club! We want to be able to expand on the rare beers we’re able to offer our members going forward, and this seems like the best possible time to expand into smaller-format selections. 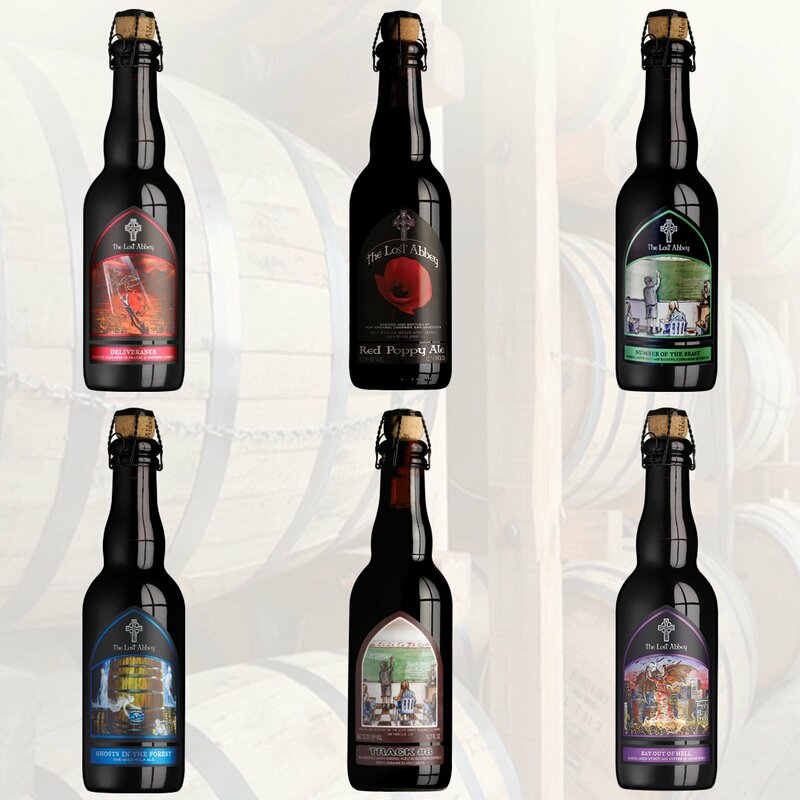 Lost Abbey has less than 100 cases of each of these releases—for the 2017 Deliverance and 2018 Bat Out of Hell, for instance, there are less than 40 cases left—and once they’re gone, they’re gone. The final two beers offer up the great opportunity to try 2015 and 2018 Number of the Beast side-by-side. To take part of this exciting offer, visit our Special Offer Page.